At Chang’s Acupuncture & Herbs, we are committed to providing fast relief from back pain, recovering mobility and improving your quality of life. A board-certified acupuncturist with decades of experience will take care of your back so you can get back to work without surgery or never-ending physical therapy or chiropractic therapy. 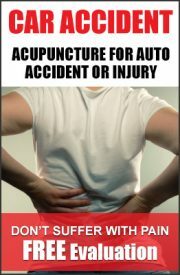 Acupuncture is used by million of back sufferers all over the world very successfully. Chang’s acupuncture is based on qi gong therapy that brings about higher than 80% success rate, which is gentle and very relaxing at the same time. If you are looking for a faster relief at a fraction of cost, we have the solution for you. Call us at (201) 945-4372 and come in for free consultation. You can fill the inquiry form below if you prefer.